There are some places to visit, things to do or see when you are on abroad. Casa Batllo is one of these great architectural monuments in Barcelona city. As you may guess this is Antoni Gaudi's work also. It was built between 1904 and 1906. Casa Batllo is an art of Catalan work that reflects light, shape and color at the same time. This masterpiece is thought to be the most creative work of Gaudi's time. If you one of these people that regret when miss a tourist attraction on your trip then we highly recommend you to see this magical house in Barcelona city. It's possible to go on journey at modern times and in the past at the same time when you step Casa Batllo slowly. 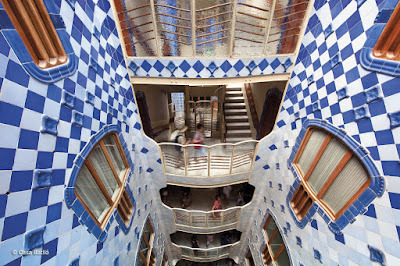 You will surprised by the extensive visual feast of Gaudi's masterpiece. Casa Batllo is located at the center of the city, Passaig de Gracia and also near Eixample. You can visit the house from 9 am to 9 pm seven days. Please keep in mind the last entrance is at 8 pm and closing times may change so please check the tickets when you get. Casa Batllo entrance prices change as below. If you get your tickets online it will be cheaper. 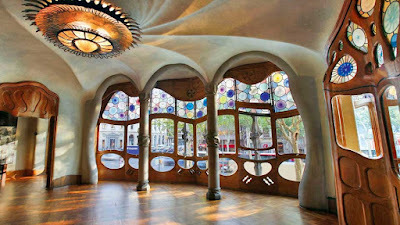 For detailed information and any changes you can check https://www.casabatllo.es/en/ website. Barcelona city guide will keep on tell more about Barcelona tourist attractions. See you in the necxt article. LOVE Casa Batlló from Casa Batlló on Vimeo.